Big push over this weekend. Lib Dem teams out across New Invention and Short Heath. 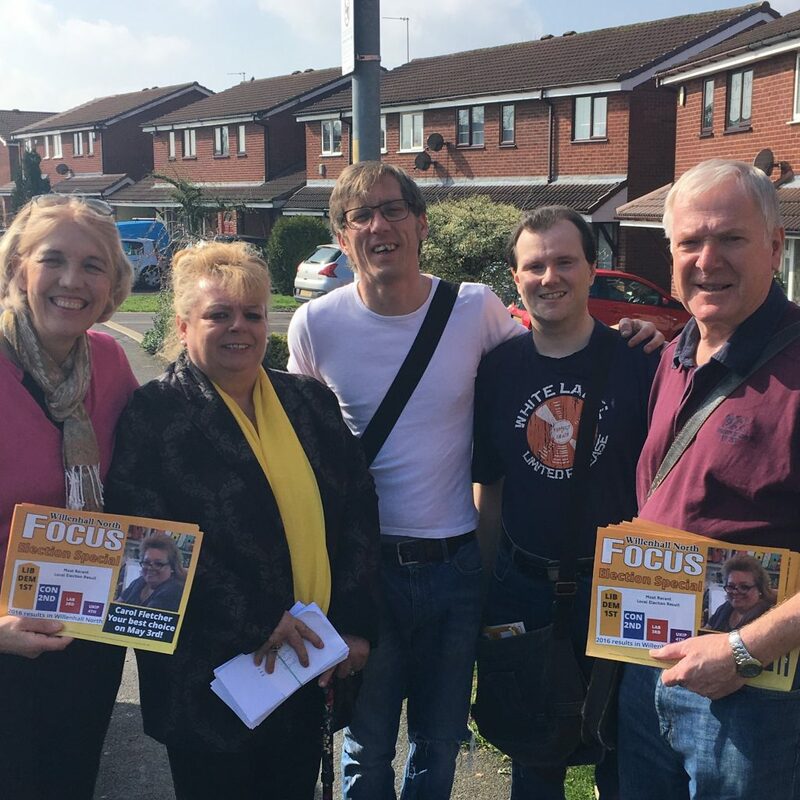 Beverley Nielson, Chair of West Midlands Lib Dems met up with Activist Carol Fletcher (Willenhall North Candidate), Activist Ben Hodges (Short Heath Candidate) along with Lib Dem Cllr Dan Barker and Lib Dem Group Leader Cllr Ian Shires. Checking on progress towards target of 3000 leaflets and all Postal Votes letters delivered.